I wrote this piece when I came back from Standing Rock, a week before the police raided the frontline camp on October 27th. I’ve now returned to Standing Rock, as I am committed to supporting Indigenous leadership by working with anti-racist trainers to keep Lakota leadership and values centered as more white settlers arrive in camp. The situation here on the ground is urgent, please go here for up-to-date information, and see the critical action steps at the end of this email. “I currently live on occupied Squaxin and Nisqually territories, in what is called Olympia, WA. I grew up on occupied Lakota, Dakota and Nakota territories in South Dakota along the Missouri River,” I said. During my two weeks as a guest at Standing Rock in the Oceti Sakowin camp, I realized I need to say those words every time I introduce myself. Wherever I am on Turtle Island, I am a guest on occupied Indigenous land. Intellectually, I had known this for a long time. But, it took being on the frontlines of an Indigenous resistance movement to know it in my body. It took participating in prayerful action. It took experiencing the power of hundreds of tribes opposing the construction of the Dakota Access Pipeline to feel my place in the order of colonization. What I mean is, as a white-settler*, I inherited the legacy of manifest destiny, European immigration and ancestral assimilation into whiteness. My ancestors do not have a connection beyond a few generations to any of the land I have ever lived on, unlike, Indigenous communities who have resisted colonization for centuries. Meanwhile, for the Native people I was working alongside, they already knew which side of colonization they were on. They knew not only that they were opposed to a pipeline, but they also had elders, prayers, ceremonies, stories, relationships and a legacy of resistance to guide them. I cannot say what it feels like to have that level of spiritual and cultural protocol guiding my activism. “We’re all downstream,” is a saying in the environmental movement. In this case, my whole family is downstream; they are included in the over 10 million people who drink water from the Missouri River. From irrigating the crops that sustain my sister’s farm to the water I learned to swim in – the Missouri River is the water source my family depends on. It’s the same water that people are willing to put everything on the line to defend. At Standing Rock, I began learning there is no separation between my personal liberation and water; there is no separation between my community’s liberation and a tribe’s liberation. This learning became a source of commitment I had never before experienced in a movement. While my spirit was immersed in this new commitment, my family joined me at the camp. We sat beside each other in a camp orientation, which served partly as an orientation to the principles that protectors are asked to follow, partly an introduction to non-violent direct action and partly a know-your-rights legal training. We were in motion together for a common cause that felt both deeply personal and political. Feeling my family by my side offered me a new sense of strength and righteousness on the long path towards justice. I felt more intimately connected to, proud of and thankful for my family than I ever had. Our closeness and shared commitment felt like finding a rope to grasp and learn from, which might lead to healing the loss of ancestral knowledge. In solidarity with Standing Rock, will you commit to knowing your history and assuming responsibility? Will you commit to learning about the Indigenous people whose territories you live on? 1) Travel to Standing Rock now. Read here for more information and here for readings before you get there. 2) Have solidarity actions in your own community. Look here for a list and map of targets. 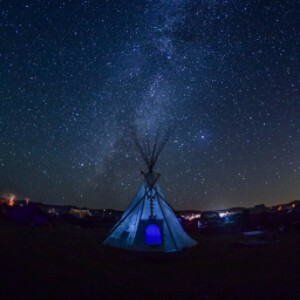 3) Send donations to support people on the ground: here for Oceti Sakowin Camp; here for the Standing Rock Sioux Tribe; and here for the legal collective. 4) End the media whiteout. This is the largest mobilization of Indigenous peoples in North American since Wounded Knee. Where’s the media? Keep spreading information, tweet and facebook major media outlets and tell them to cover #NODAPL. *A result of the colonization and ongoing occupation by non-Indigenous inhabitants is settler-colonialism and in this system, as a non-Native, I am a settler. **From An Indigenous Peoples’ History of the United States by Roxanne Dunbar-Ortiz.